Come for the delicious recipes. Stay for the terrible story. This week, all is not as it appears to be, and Sunny tells it like it is. And there's cupcakes. Return to A Series of Unfortunate Recipes homepage. This image, obtained from the Netflix corporation by one of my associates, shows Count Olaf holding a tray of ersatz raspberry cupcakes in his filthy dining room. It is a well-known fact that, like all decent people, Violet, Klaus and Sunny Baudelaire loved raspberries. Raspberries, of course, are juicy and red, squishy and delicious. They are tart and sweet at the same time, and heaps of fun to eat off of one's own fingertips. The Baudelaire children often thought of all the times they spent with their loving parents, happily eating raspberries and baking them into treats together. At times, they would lose themselves in these pleasant memories, and would feel happier about their circumstances as a result. If you are the type of person who likes to feel happy about your circumstances, you may want to close your browser right now and not read the unhappy rest of this post. You might prefer to imagine that the rest of this story is about happy families making delicious raspberry treats together, such as raspberry pancakes, or raspberry tea, or raspberry-chocolate ice cream. You could spend the rest of your life believing that the Baudelaire children lived happily ever after with loving adults who gave them raspberries and other delicious treats to eat at every meal, but that is not how the story goes. Pink Raspberry Cupcakes with Lemony-Basil Buttercream frosting, made in the Adventure Kitchen. The only raspberries the Baudelaires were given at Count Olaf's house were given under false pretences. False pretences occur when you are promised one thing, but are given something unpleasant instead. For example, you might visit a food website because of the promise of lovely photographs and delicious recipes, but instead you might find a depressing story about an evil villain trying to steal the inheritance of orphaned children, delivered along with boring lectures about the meanings of common words and phrases. 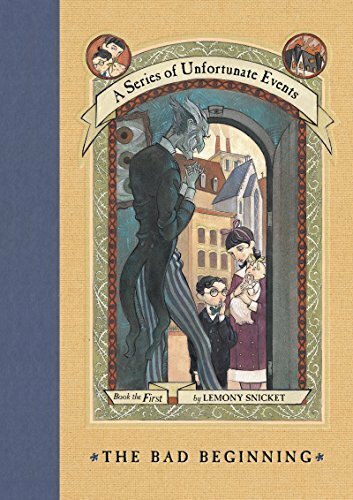 The evil villain of this website is Count Olaf, of course. He was so vile and repugnant that he did not appreciate delicious food at all. But he did appreciate false pretences. When Count Olaf provided cupcakes to the Baudelaire children, he provided them under false pretences. He claimed he baked them himself, which is clearly false. He further claimed that they were raspberry cupcakes, but this is clearly false as well. A store-bought chocolate cupcake does not become a raspberry cupcake simply because someone has put a raspberry on top, in the same way that a money-hungry narcissist does not become a noble person simply because someone has dressed him in nice clothing and given him lines to read from a script. In this image, obtained at great peril from the Netflix corporation, Sunny Baudelaire can be seen cutting through Olaf's lies with an incisive observation. Not only did Olaf proffer raspberry cupcakes under false pretences, but he also licked the frosting, ate all of the raspberries, and shoved at least one cupcake into his own dirty mouth. Right in front of the children. I told you this story would be unpleasant. If you, dear Reader, are not currently being forced to appear in a play written by Al Funcoot, you can experience the true pretences of actual Raspberry Cupcakes by following my recipe. In it, the juices of lovely fresh raspberries are baked right into the cupcakes, coloring them pink and infusing them with delightful raspberry flavor. An extra raspberry has also been hidden inside each one, where Olaf will never find it. The cupcakes are then frosted with Lemony-Basil Buttercream, which is deliciously unique, but intentionally given a name that Olaf would despise so that he'll never want to lick it. Naturally pink with raspberry juices, these cupcakes are filled with delightful raspberry flavor, and have an extra raspberry hidden inside each one, where Olaf can't get to it. Creamy frosting infused with Meyer lemons and a hint of basil to perfectly complement raspberry cupcakes. And given a name that will help to keep Olaf at bay.